We, the undersigned, represent a coalition of concerned peace organizations and citizens of the United States who are advocating the importance of abolishing nuclear weapons globally, toward a more peaceful world. We are gathering here, in front of the office of the Consulate General of Japan in New York, with a bouquet of flowers to express our sincere regrets and apologies for the deaths of those killed by our nation’s atomic bombings in Hiroshima and Nagasaki, a war crime and crime against humanity, although our government has never apologized. 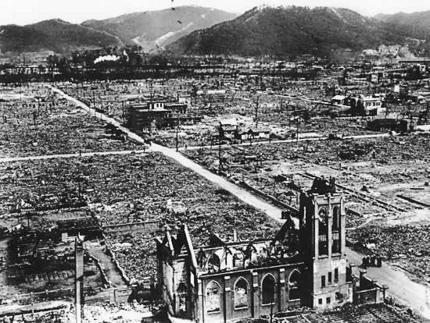 We wish to extend our deep condolences and apology to those atomic bomb survivors (Hibakusha) who have endured great mental and physical hardships for over seven decades as a result of the horrific bombings. First, we appeal to Japan to play a leadership role in supporting and promoting the Treaty on the Prohibition of Nuclear Weapons, adopted by the UN on July 7, 2017 with overwhelming support from 122 member states. It states clearly the prohibition from developing, testing, producing, manufacturing, transferring, possessing, stockpiling, using or threatening to use nuclear weapons. We urge that the Japanese government act in a timely fashion to complete the domestic legislative process, so that Japan can sign and ratify the treaty soon after it opens for signature at the UN in New York this September. After more than seven decades of nuclear deterrence policy, the global consensus undeniably agrees that the world has become more dangerous under such a policy. 122 member states clearly showed their common ground that peace cannot be achieved by the existence of nuclear weapons. We promise to keep raising our voices to press our own government, and call for signing and ratifying the Treaty on the Prohibition of Nuclear Weapons, agreeing to begin to remove all the existing nuclear weapons from operational status and destroy them in accordance with this international document. In addition, we are deeply troubled by the security implications of Japan’s stockpile of 48 tons of separated plutonium in conjunction with the start-up of Rokkasho Reprocessing Plant, scheduled for late 2018, which will have an estimated capacity to separate up to an additional 8 tons of plutonium annually. Such a large stockpile of separated plutonium is a proliferation threat as well as a target to nuclear terrorism and could become a grave environmental disaster if another nuclear accident happens. The reprocessing of spent nuclear fuel requires excessive costs. It has serious environmental concerns and safety risks to workers and local citizens, as we have seen at the Hanford Nuclear Site in the United States. On July 17, 2018, the US-Japan Nuclear Energy Cooperation Agreement will mature. It will be automatically extended unless either the US or Japan notifies the other country six months prior to termination. We are deeply worried about the extending of this Agreement, and its impact on the security of the Northeast Asian region and the rest of the world. (5) Supply and exchange information and technology on how to contain and monitor Japan’s plutonium stockpile and radioactive waste materials from nuclear facilities and nuclear accidents in order to keep them out of the food, water, air, and land of local citizens for future generations. Victimized by the use of atomic bombs, Japan has also been a victim of the world’s worst nuclear power plant accident since Chernobyl, suffering from massive radiation leaks that have spread well into the Pacific Ocean; the evacuation of more than 150,000 people, most of whom haven’t yet been able to return home; and a rise in thyroid cancer among children, among some of the known adverse effects. 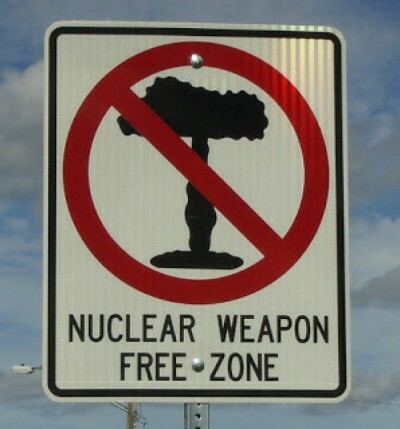 The use of nuclear technology, whether military or civilian, comes with enormous risks and incalculable consequences. Effective global nuclear disarmament will not be possible as long as we allow commercial uses of plutonium and highly enriched uranium. Thus, our coalition calls on Japan to protect its peace constitution, discard its military reliance on the U.S. nuclear umbrella, and say NO to the extension of the US-Japan Nuclear Energy Cooperation Agreement in order to build a more humane and safer world, one free from the terror and fear of nuclear weapons.